On the official Pokemon Center Online website in Japan, customers who purchase merchandise earn points that can be used to play a mini game. One of the prizes of the mini game is a post card, and the post card’s design is changed every month. 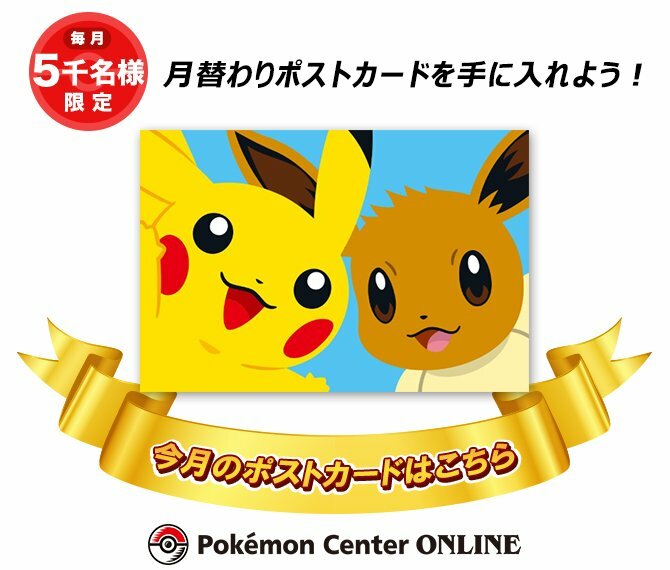 For July 2018, The Pokemon Company has prepared a post card featuring Pikachu and Eevee, and there are only 5000 of them to be won.